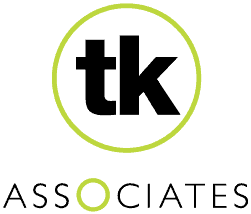 TK Associates is running a comprehensive marketing campaign to promote the ‘Sovereign Harbour Innovation Park’ in Eastbourne. This high quality business park is being developed on a five-acre site in the prestigious Sovereign Harbour area, five minutes’ walk from the waterfront restaurants, cafés, wine bars and boutiques – and two miles from Eastbourne town centre. We are creating marketing collateral and has already completed a brochure. We are also handling a media push, stakeholder relations and advertising. It is creating large-scale site signage and will develop a website for the scheme. The Innovation Park is designed to inject new economic life into the area by attracting companies, helping them to expand and create well-paid jobs. It will also provide a boost to the area’s shops and leisure facilities. The park includes a striking, contemporary business centre called Pacific House (artist’s impression, left) which will be completed later this year. Pacific House will be able to accommodate a mix of small, medium and large companies – with capacity for 300 employees in total. It will be a low-energy property with an impressive atrium, shared meeting spaces and ample parking. The steel frame of the building is now up (as below), the floors are formed and the car park being laid out. The rest of the Innovation Park will provide sites for up to 80,000 sq ft of further developments to suit companies’ needs. The business park is already attracting a good number of enquiries.